A building’s exterior envelope is always under attack from Mother Nature. We provide project management services for all of your construction and asset protection needs. Our clients rely on our expertise to locate design deficiencies and sources of water infiltration or structural compromise in a property’s exterior envelope. 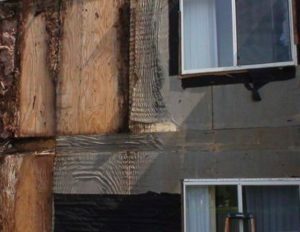 Our comprehensive assessment reports, complete with digital photographs, thermal scans (if required) and realistic cost estimates, detail a building’s problem areas and help clients formulate cost-effective restoration plans. In addition, we work with a network of qualified national contractors in various fields who can competitively bid and carry out each project based on the approved scope of work, budget, and construction time frame requirements unique to each client. We have breadth of experience in different types of properties. dpM Partners has participated in façade restoration efforts of historically designated hotels, art deco structures, and everything in between. We have worked with ownership groups and local city authorities to maintain the aesthetic integrity of original designs. Whether your property needs a face lift, restoration of waterproof integrity, or needs structural correction due to a sinking foundation, loose brick/mortar, or a host of other issues, we will be your partners in finding the right solutions. Our guidance will see you through your toughest assignments involving historical buildings, local jurisdictions and specialty contractors.